Your success and your trust are our goals, so creating the strongest, most profitable Partner programs available will always be the driving force of our business. 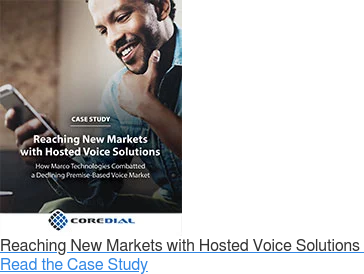 When you partner with CoreDial, you’re joining a company that cares deeply about your success and has spent over a decade building the most reliable UCaaS platform that will continue to exceed your customers expectations. Our options are sure to meet your specific business needs. All wholesale programs are implemented using CoreNexa™, the Unified Communications (UC) platform we built from the ground up over 13 years ago and have been committed to enhancing ever since. With the ability to private label the entire CoreNexa UC platform, you’ll build and strengthen your own brand. Alternatively, you have the option to co-brand as “powered by CoreNexa", so you can harness the opportunity of the brand’s National Strength and Local Service message. Whether you private label or co-brand, CoreNexa enables wholesale Partners to offer customers the most reliable, feature-rich cloud communications products and services. With no hardware or software to buy upfront, your barrier to entry is virtually eliminated, so pick the Partner Program that works best for you and get started. Best for businesses who want to offer Unified Communications but don’t know where or how to start. Fast Start is designed for MSPs, VARs, and IT Solutions Providers who need a fast and easy program with lowest barrier to entry. Simplified pricing model — sign up, set up, get selling! Perfect for MSPs, VARs, and IT Solutions Providers who recognize the benefit of offering Unified Communications as a Service (UCaaS), have some experience with telecom or UCaaS, and want to partner with a reliable and successful company, team, and platform. Earn margins of 50-70% or higher! Your partner will have a significant impact on your future success. CoreDial and our CoreNexa UC platform leads the pack with the most competitive business model offering you unparalleled scalability, profitability, and relevancy in the marketplace with omni-channel communications. CoreDial built the private label UCaaS business model more than 13 years ago, and we’ve been refining it since. Our platform automates the Sell, Deliver, Manage, and Invoice process of offering cloud communications, ensuring our Partners run highly efficient businesses, maintain and grow their own brand, own their customer relationships, and drive unprecedented margins. Now, with the CoreNexa evolution of our platform, we’ve built upon this solid foundation and deliver expanded value to you and your customers. By offering highly differentiated and competitive services like UC Client, Mobile, and Contact Center & IVR in addition to our proven Account Manager module, CoreNexa delivers all of the end user functionality your customers and prospects want, need, and demand. CoreDial has received some of the most recognized accolades in the industry from reputable media and analysts for our solution and for the impact it's had on the market. When compared to new market entrants, we are the clear leader — with 175 employees, more than 800 Partners in the US, 26,000+ businesses on our network, and over 325,000 seats. Credits CoreDial’s “exceptional” success to our nimble, entrepreneurial culture, and agility; qualities enabled by ownership of our CoreNexa UC platform. 2018 marks the 5th consecutive year CoreDial is named to list of CRN's Channel Chiefs. CoreDial has been awarded Product of the Year Awards by Internet Telephony for 2017 (platform), 2018 (SD-WAN) and 2019 (Contact Center). We’re proud of our investment in making our partner community stronger. As a result of our strong financials, we are able to reinvest significant dollars into capabilities and programs helping our Partners compete and win. 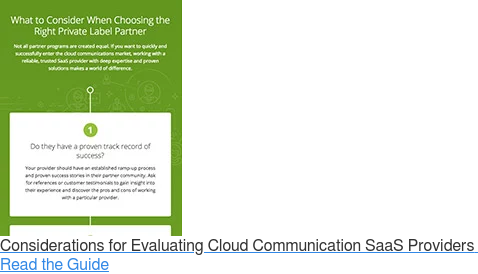 Choosing the right partner for your private label cloud communications offerings impacts your ability for success, and we don’t take your decision lightly.